Sta nevicando in Pooladkaf Ski Resort ?Grazie! 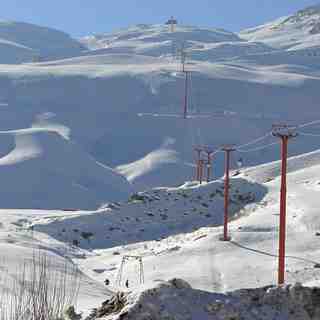 Pooladkaf is a ski resort in the South of Iran, 90 km from Shiraz, and 15 Km from Sepidan. 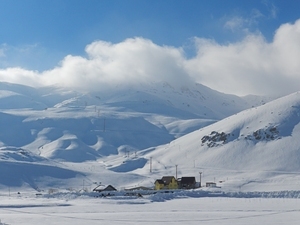 Elevation of this ski resort is from 2810 to 3231 meters from sea level. 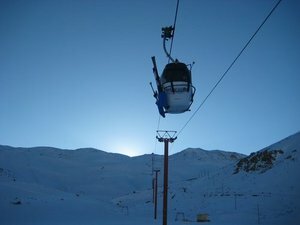 There is a gondola lift with length of 2100 m and also surface lifts. Hotel restaurant is under construction, but now it has an small guest house and one resturant with traditional foods and fastfoods and also one coffee shop on the top station of the gondola. 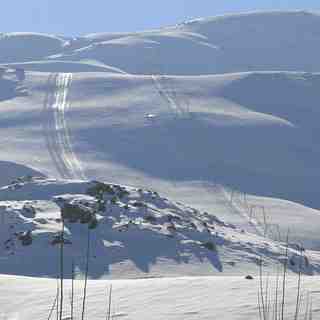 In Pooladkaf resort you can enjoy driving snowmobiles and ATVs, and also riding Segways, bikes, horses and pedalo boats. 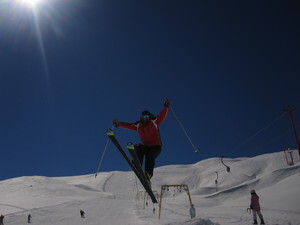 All facilities of this ski resort (except skiing) is open to public in non ski seasons too. 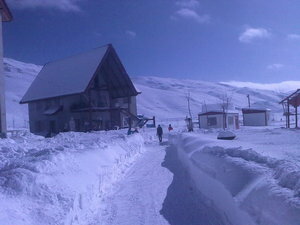 Ski season in Pooladkaf usually starts from first of December to late March and sometimes this period extends to April. Due to considerable precipitation of this region (about 1000 mm in less than 6 months), in some years there is 3 meters of snow at the bottom of resort. Finally, the interesting point about this resort is strong sunshine even in January. This ski resort has good facilities.